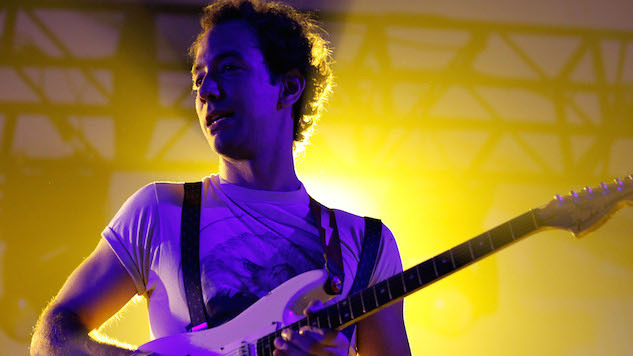 Albert Hammond Jr. Releases Sharp New Track, "Far Away Truths"
Photo by Christopher Polk/Getty Music News Albert Hammond Jr.
Albert Hammond Jr. has put out “Far Away Truths,” a new track from his forthcoming solo album Francis Trouble, out on March 9 via Red Bull Records. Unsurprisingly, “Far Away Truths” is driven by Hammond Jr.’s signature sharp, guitar-pop hooks and riffs while his assured lead vocals sing of feeling disconnected from another person and then suddenly feeling reconnected in an instant by something simple and unexpected. Francis Trouble is about the stillborn death of Hammond Jr.’s twin brother, Francis, whose story Hammond Jr. learned more about at age 36. Crucially, the length of his new album is exactly 36 minutes. Listen to his new single “Far Away Truths” below and preorder Francis Trouble here.